We are so Excited to introduce our new Valentina Dress. This look features mix and match prints in soft coral orange floral fabrics and loop trim detail at waist with concealed zip at back. 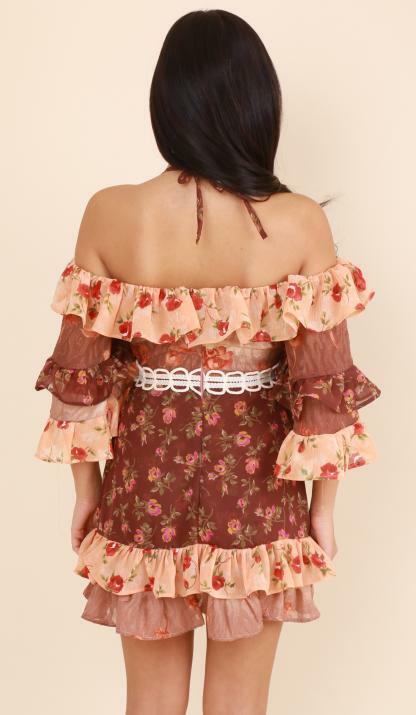 Layered Frill Sleeves and hem gives this cute little dress a real vintage feel. Perfect for any special occasion this season. Wear with strappy heels to finish the look.